This morning while I was getting the kids off to school I caught part of a news snippet as I rushed through the living room; something about FAA regulations that say hot air balloons can’t be within 500 feet of a cloud. I walked around with these silly visions in my head of men teetering around with tall ladders trying to chase down hot air balloons so they can measure their distance from the clouds. I’m sure I must have missed part of that news story while I was helping Ethan find his socks, but the part I heard sounded so silly that it stuck with me all morning. 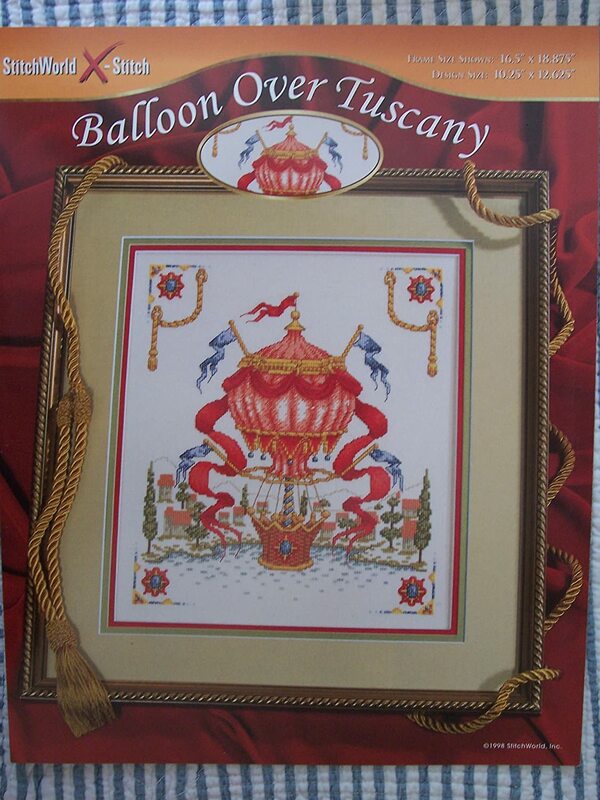 Anyway, that’s what led me to look for hot air balloon designs this morning. 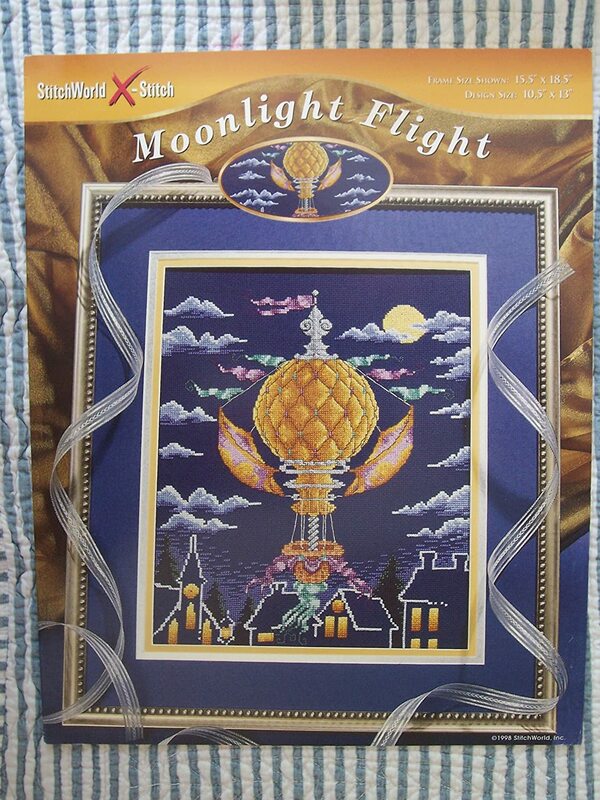 This is Balloon Glow, and it’s actually a Dimensions cross stitch kit. 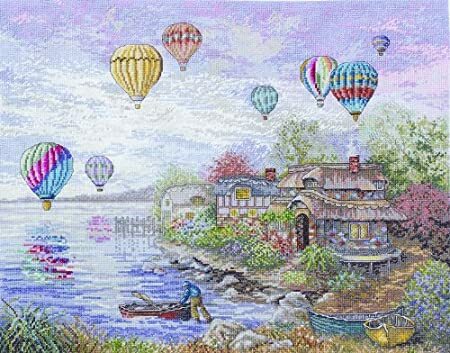 The finished design uses both full and half cross stitches to achieve the finished effect, particularly the texture of the sky. Kit contains cotton thread, 18-count ivory Aida, color-coded thread sorter, needle, and easy to follow instructions. Finished project size is 16 x 12 inches. Interesting I didn’t know that about hot air balloons.